Thread: leaving SIM out of device for 2 weeks? i dont have money to spare to i wanted to sell my explore first then use that money to buy the nighthawk but im buying from ebay and gotta wait for shipping and and lil time finding a good deal and good seller so my SIM card will be sitting on my desk for like a week and a half maybe 2 weeks..will i have any issues with my SIM card out of a device for 2 weeks? Having the SIM out of the device will not create any issues. It would be the same as keeping the device off for the same time period. Activation of the new device with the same SIM may not work as easily and you might need to get a new SIM card. I only said it "may"
Last edited by veriztd; 02-03-2019 at 01:03 PM. It is my understanding that although it was originally 2xCA, the last firmware update has now made it 3xCA. Well, good luck. I don’t expect the Nighthawk will be any faster. But hopefully your experience is better than mine. My MR1100 gets 50% or less of the speeds of my iPhone XSM. And it has a crappy Intel modem. On my XSM I get 180-220 Mbits/s with a strong signal, but only 90-110 Mbits/s with my MR1100. My ZTE Velocity 2 is just a touch slower than the MR1100 but has better upload speeds and was less than half the price. Was hoping to get an M5 fusion but not for $500. Last edited by cocky01; 02-25-2019 at 06:14 AM. 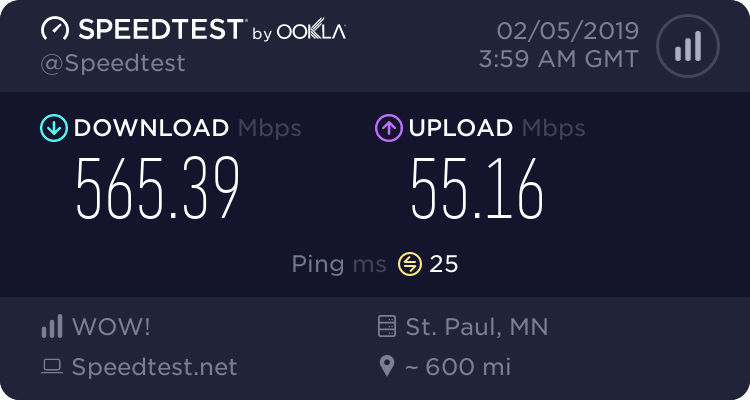 Mine regularly gets 150Mbps, but that's with a Verizon sim. 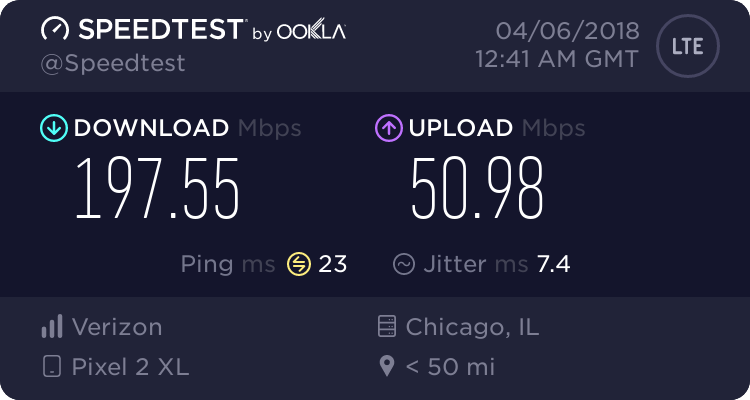 AT&T it is usually 60+Mbps.. which is more than enough for what I need.